"The forest is very dangerous - do not leave the path." 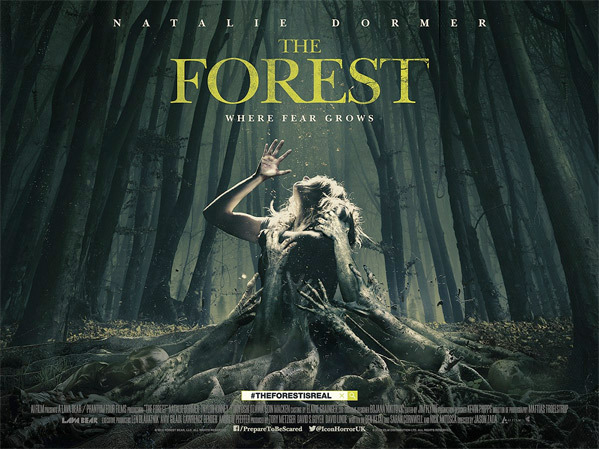 Gramcery Pictures has debuted a second trailer for the supernatural horror thriller The Forest, starring "Game of Thrones" actress Natalie Dormer as a woman who heads to the mysterious forest in Japan to find her sister. As explained for the first trailer, the forest she goes to is Aokigahara Forest in Japan (a very real place), which is also the same place where the film The Sea of Trees directed Gus Van Sant takes place (due out later in 2016). The full cast includes Taylor Kinney, Eoin Macken and Yukiyoshi Ozawa. This doesn't really make me any more interested than the first trailer, but maybe it'll appeal to more horror fans. It all seems a bit too cheesy for my liking. A supernatural thriller set in the legendary Aokigahara Forest in Japan. A young American woman, Sara (Natalie Dormer of “Game of Thrones” and The Hunger Games), goes in search of her twin sister, who has mysteriously disappeared. Despite everyone's warnings to "stay on the path," Sara enters the forest determined to discover the truth about her sister’s fate – only to be confronted by the angry and tormented souls of the dead that prey on anyone who wanders into the forest. The Forest is directed by Jason Zada, from a screenplay by Sarah Cornwell, Nick Antosca, based on an idea by David S. Goyer. Gramercy Pictures will release The Forest in select theaters starting January 8th, 2016 - early next year. Anyone interested? Why are these trailers all the same? Even if your movie is boring and not scary, there must be some way that you can at least make it look interesting. This trailer just makes this film look exactly like a hundred before it. Maybe it is, but at least TRY to make it look like it isn't. Dormer's American accent is excellent! But this movie looks dead-on-arrival. Damn! i totally fell asleep during the trailer! Best micro Nap ever! Just what true story is this based on?